I am so excited that the Stampin' Blends are finally here. 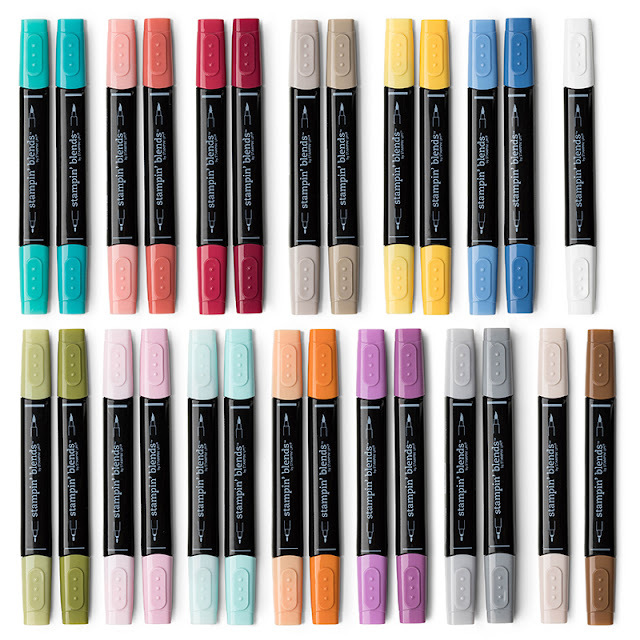 There are so many reasons to be so excited about these great new premium alcohol based markers. 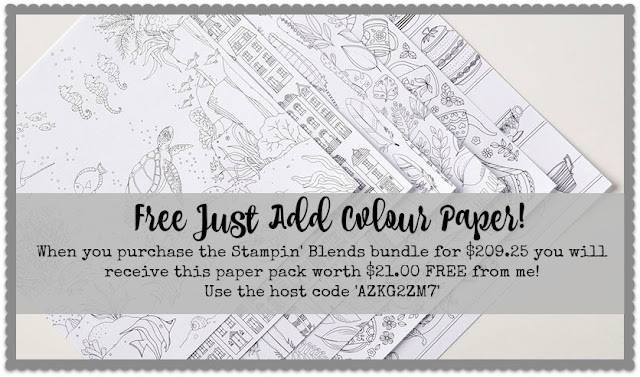 They are going to make colouring possibilities endless! I have been lucky to have been able to pre-order these markers over a month ago and have been having fun playing with them and have fallen in love! 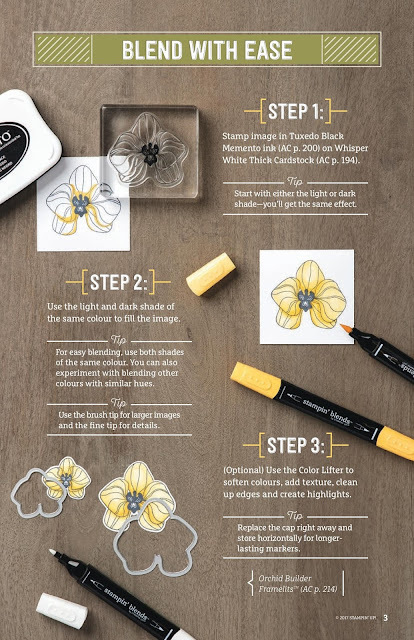 What is better is that now YOU can order these great markers! 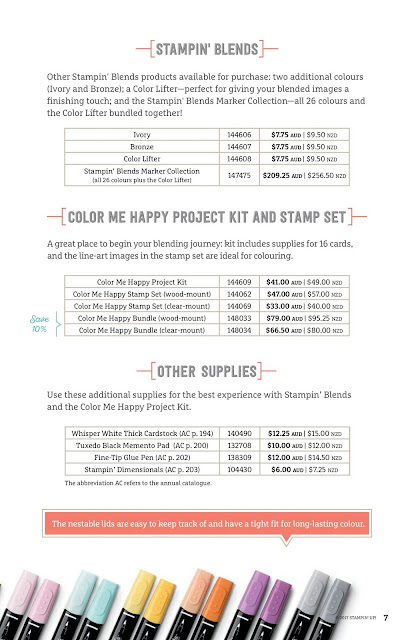 The markers are available in TWELVE of our great exclusive Stampin' Up colours and come in a light and a dark shade! 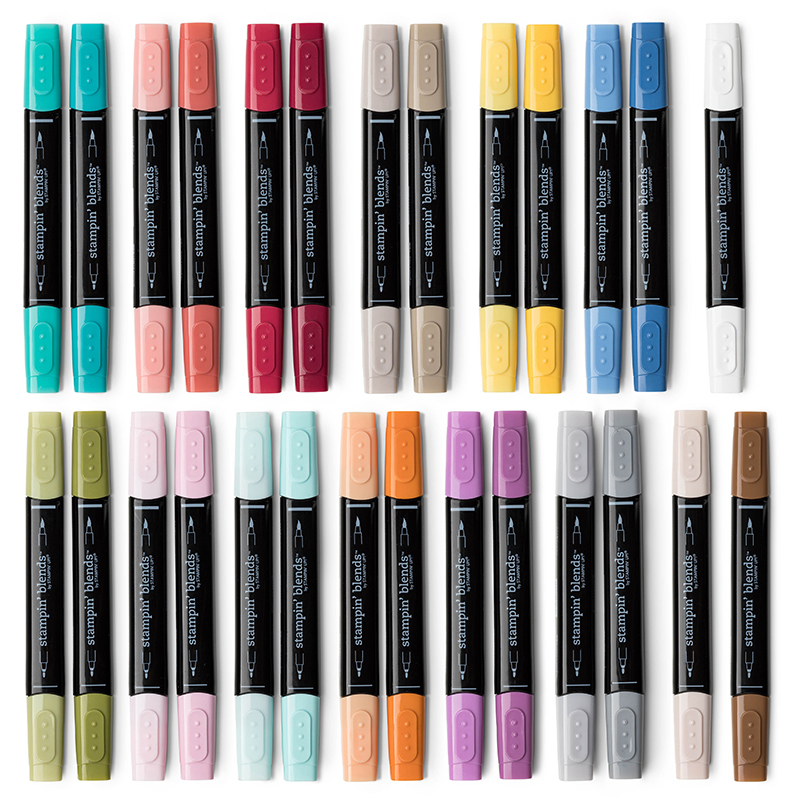 We also have the addition of an Ivory, Bronze and Colour Lifter marker which makes adding texture and adding skin tones a breeze! 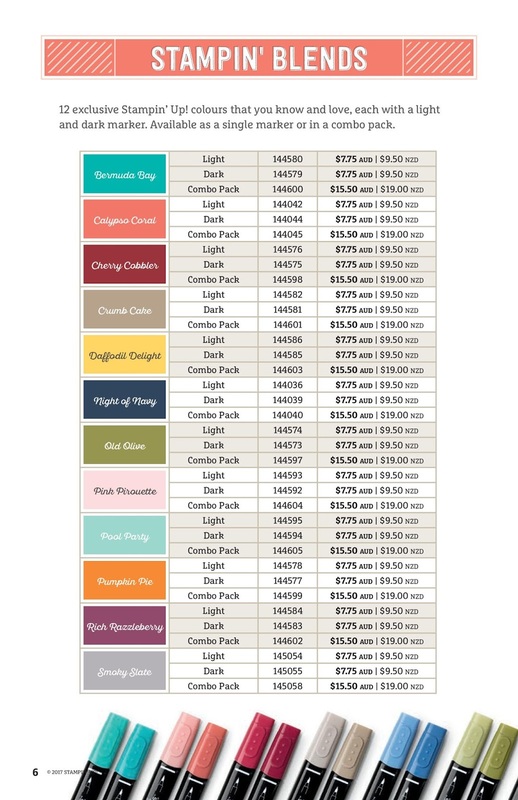 Here's a look at the ordering combinations. The pens are not refillable but can be ordered individually when they run out. I also have a SUPER AWESOME special this month if you purchase the whole BUNDLE with me. 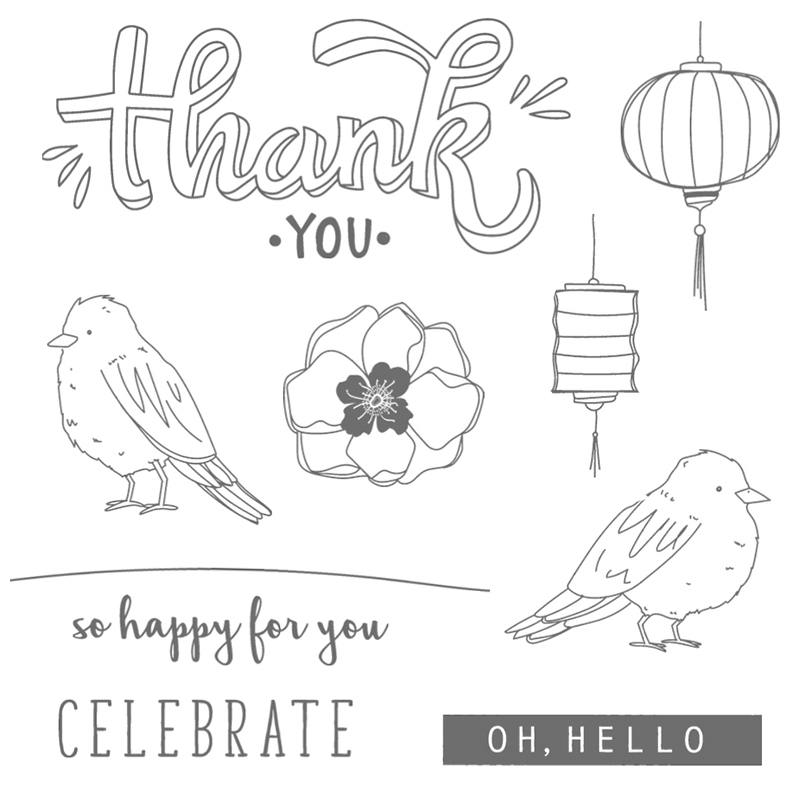 You can purchase the whole Stampin' Blends bundle here. In addition you will also receive the following FREE for using my monthly host code. 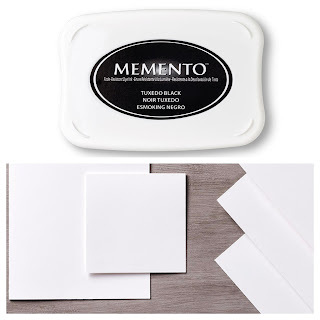 A couple more important products to have when working with these Stampin' Blends is the Memento Ink pad which ensures the integrity of your stamped image remains when colouring with the alcohol based markers. 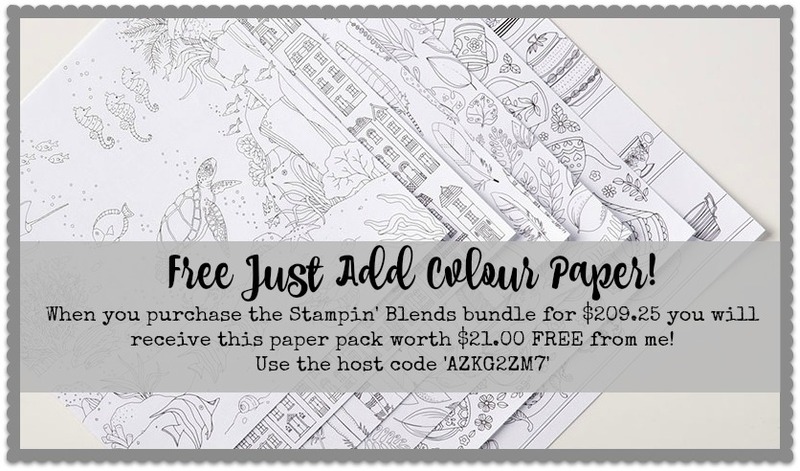 This ink can be used with both clear and photopolymer stamps. The other important product to ensure you have is the Whisper White THICK card stock as this will be heavy enough to be able to take the moisture of the alcohol marker. It will ensure that your image will not bleed outside the lines. 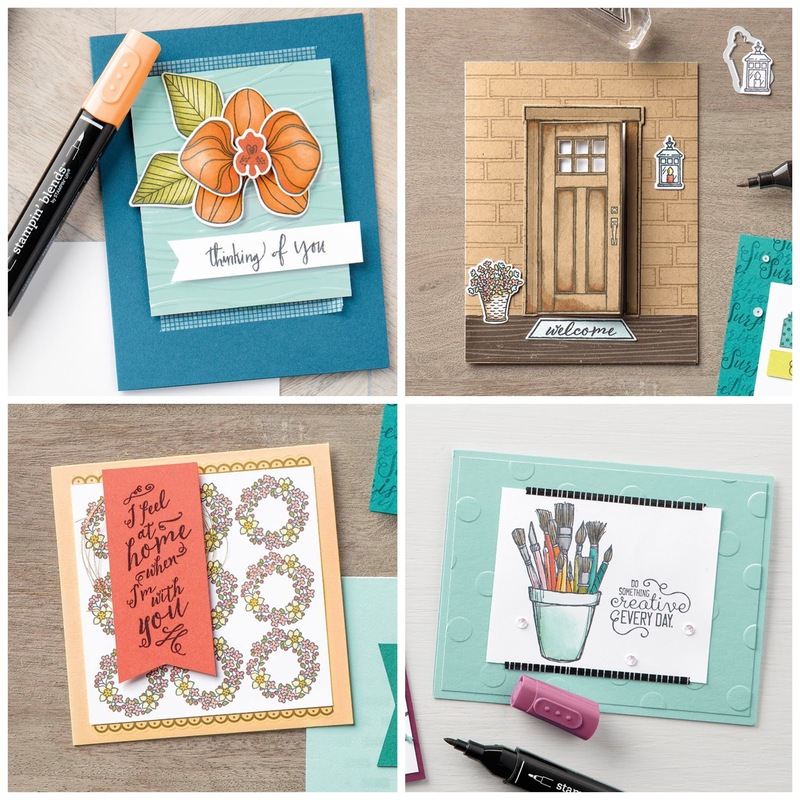 The other really exciting thing happening is that to celebrate the release of these great new pens, Stampin' Up! 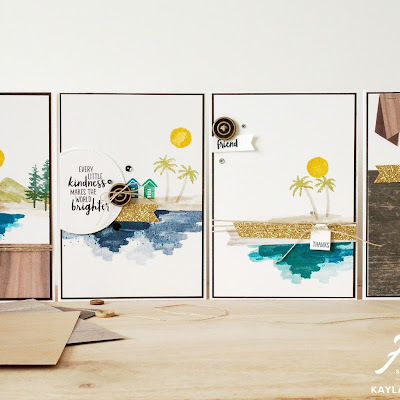 have released a special limited edition card kit that really shows off the blends and their possibilities. It even comes with a limited edition stamp set that features some gorgeous birds and other beautiful images. These are strictly in limited quantities and available while stocks last so get yours quick. You can see the great project kit above. 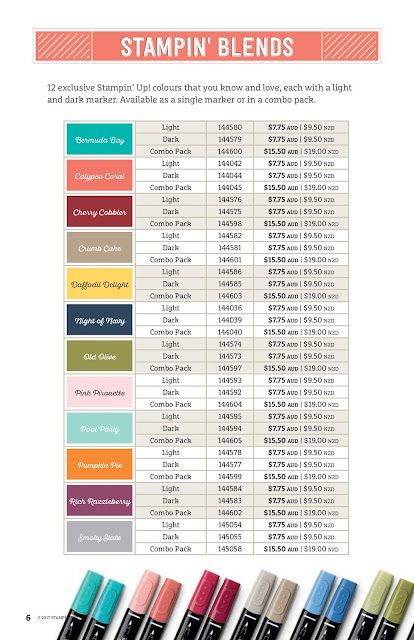 As you can see it features some beautiful colours including Rich Razzleberry, Pool Party, Pink Pirouette, Night of Navy and Gold. 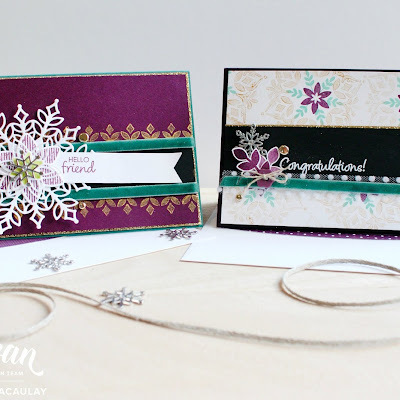 It's a stunning colour combination combined with the beautiful textures of gold foil, tassels, twine and sequins! The coordinating stamp set is just as fabulous and includes some beautiful imagery that is going to look so beautiful coloured with our gorgeous Stampin' Blends. 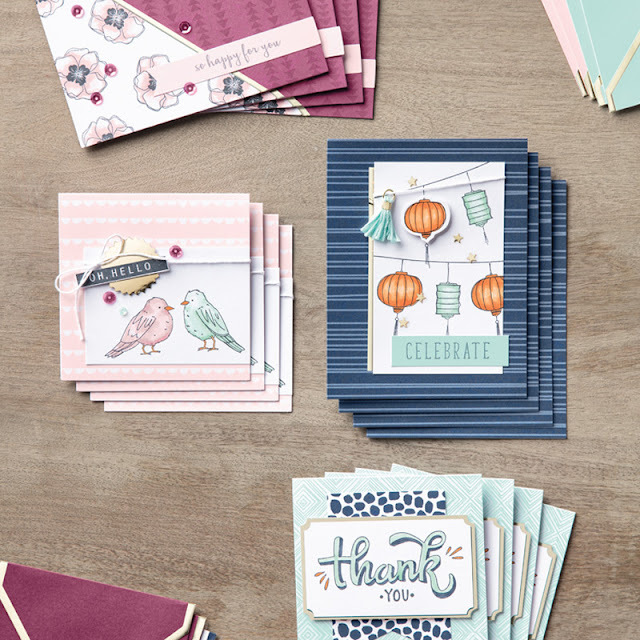 Here you can see the beautiful cards put together. 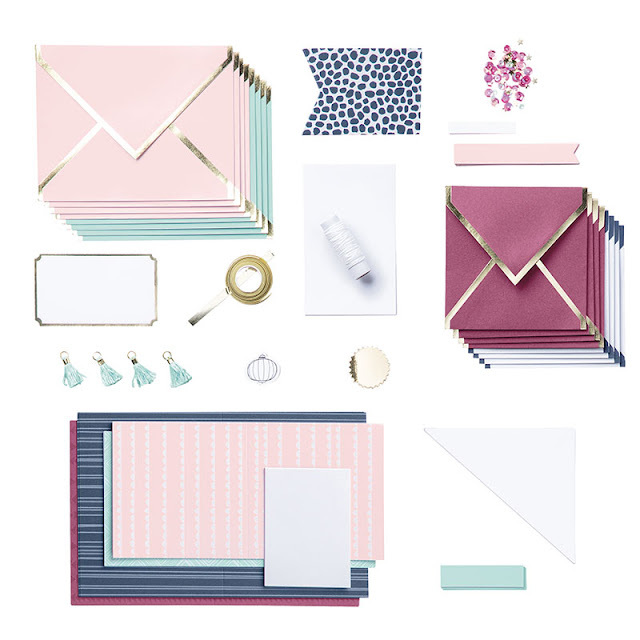 I just love how they come with beautiful gold foiled and lined envelopes. 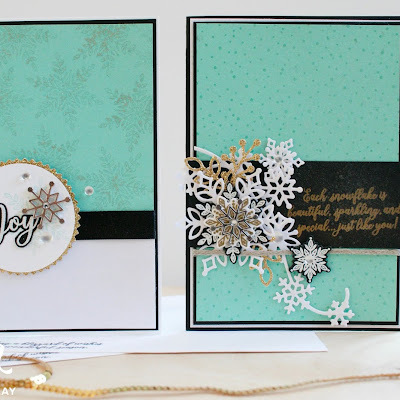 They will make stunning cards to give to family and friends. As you can see it's going to be a GREAT month, especially now we have these great markers to play with. Stay tuned for some more projects soon using these great markers.